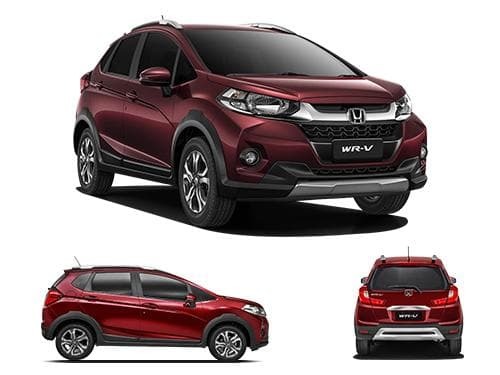 Honda WR-V is a stylish compact SUV with a lot of advanced technology features. When the competitor cars are being offered with sufficient parking aids, reverse parking sensors have been given a miss in this model. However, the car comes with a reverse parking camera, which is a much-needed feature in this car due to the restricted rear view for the driver. The infotainment screen doubles up to display the rear view taken from the reverse parking camera. The variants of Honda WR-V that offer parking camera as standard include Edge Edition Diesel, Edge Edition Petrol, Exclusive Edition Diesel, Exclusive Edition Petrol, S Diesel, S MT Alive Edition Diesel, S MT Alive Edition Petrol, S Petrol, VX Diesel, VX Petrol.